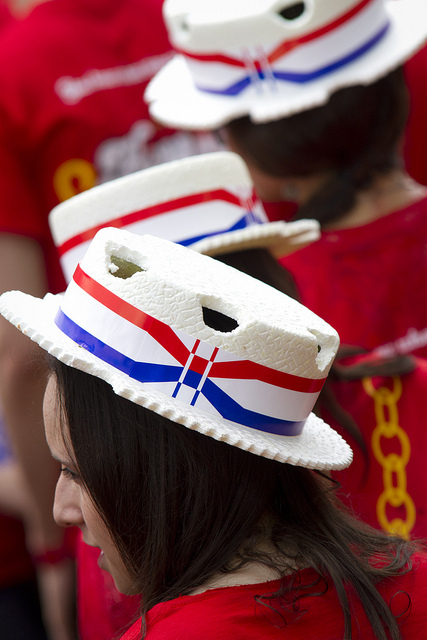 What’s Your Favorite Thing About Alumni Weekend? Anyone who has spent any time in Philadelphia should be familiar with “Move Closer to Your World,” the television news music jingle made famous by its use on Action News on Channel 6, ABC’s affiliate WPVI-TV. Since Action News has been the highest-rated station in Philadelphia for four decades, the theme has become a large part of the Philadelphia consciousness especially the first four lines. 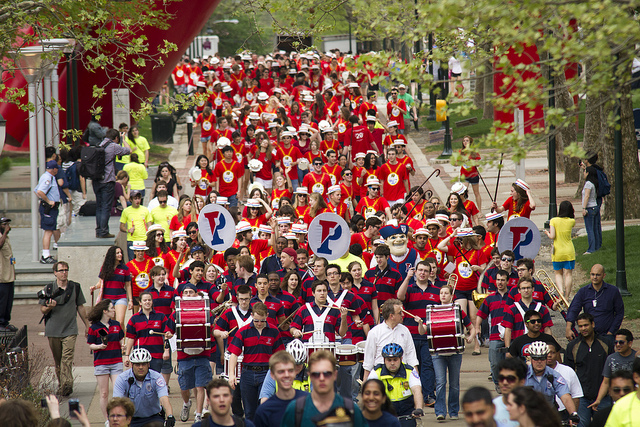 Taking the advice from the song, for my Top Penn List, I wanted to share with you the 10 largest Penn Alumni Communities with clubs, so you can engage closer with your Penn world wherever you are. 9 Penn Alumni Club of Washington D.C., Washington DC. 1 PennNYC, New York City, NY (in addition, Penn Club of Westchester and Rockland Website, University of Pennsylvania Club of Long Island Website and Penn Club of Fairfield County service the needs of Penn alumni in the NY/CT metropolitan area). For those who would like to reminisce about their Philadelphia days, enjoy the classic Action News theme song also with images circa 1995. Penn students celebrated the 95th annual Hey Day yesterday, with the Class of 2012 advancing to “senior” status as the senior Class of 2011 were welcomed into the Penn Alumni community at the third annual Final Toast. The Final Toast featured a beer-garden, food from Penn’s famous food trucks – Magic Carpet, Sugar Philly, and Guapo Taco by Jose Garces – as well as the Mask & Wig Band, the Bloomers Band, and DJ Rico. Many on campus are calling this one of the cleanest and safest Hey Days they’ve seen in years – the tradition of celebration is coming back! You can view the latest photos from Hey Day here. Enjoy! Many moons ago (1993-1997), when I was an undergrad here at Penn, I played trumpet in the jazz ensemble as well as in a few other extracurricular bands. I wasn’t all that serious about playing music back then – I did it just for fun. Because of my novice status though, I often wished I had a place to practice. 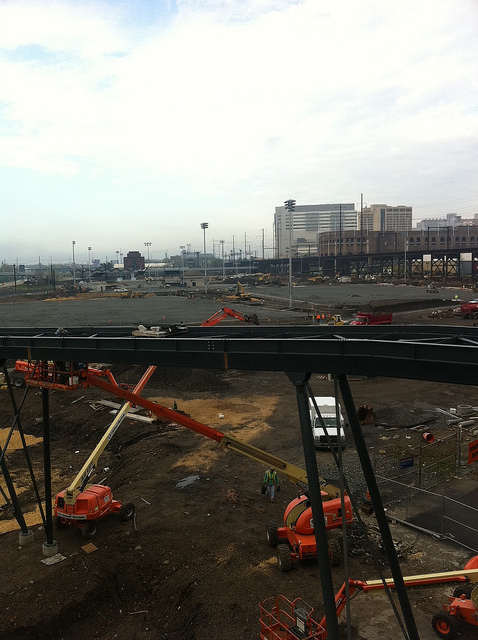 But back then, Penn didn’t have a lot of space for practice. Oh, yes, there was a music building, and there were three practice rooms in its basement, but those rooms were beyond creepy (roaches, cobwebs, sewage pipes) and acoustically disastrous. 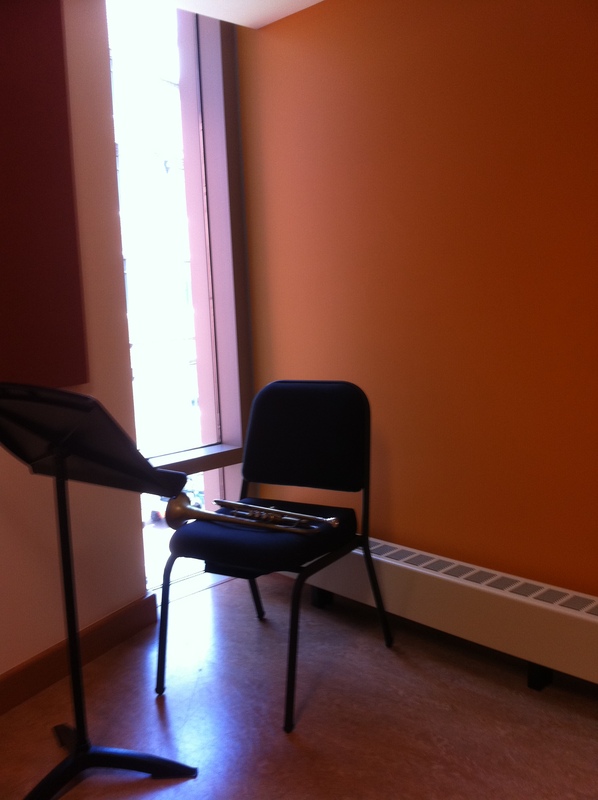 Sometimes, I resorted to finding a boiler room in a dorm to get in my trumpet-practicing done. Needless to say, I didn’t get around to it all that much, and hence, I didn’t really improve. Now, things are much different on campus. There are actual undergraduate music majors (in my time, most of the music majors focused on composition versus a particular instrument), and many of them are playing way above the level I ever achieved as a student. And perhaps most importantly, since the Music Building has been renovated (! ), there are multiple places for students to get in the hours of practiced needed to reach that higher level of skill. This room was a gift made in part by my old boss, former Alumni Relations AVP, Bob Alig. 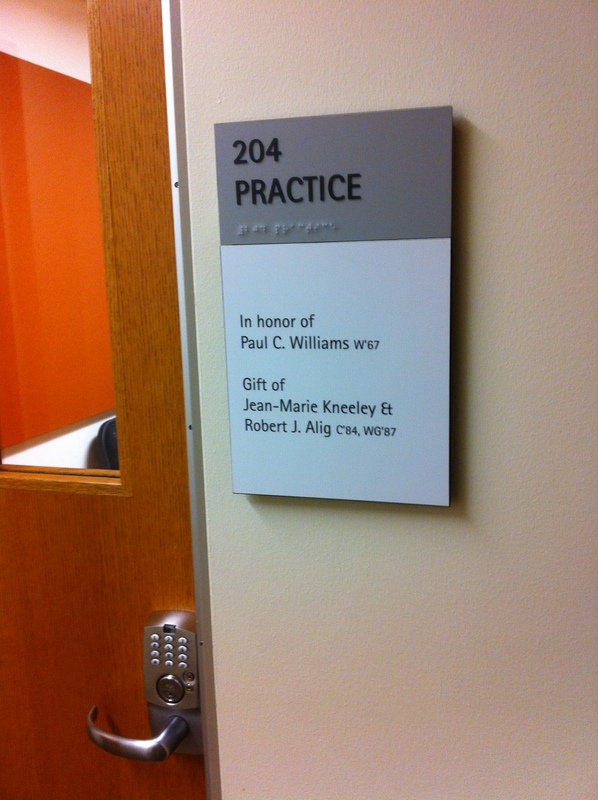 The room itself was dedicated in honor of Paul Williams, the former president of Penn Alumni. Thanks for the nice room guys! 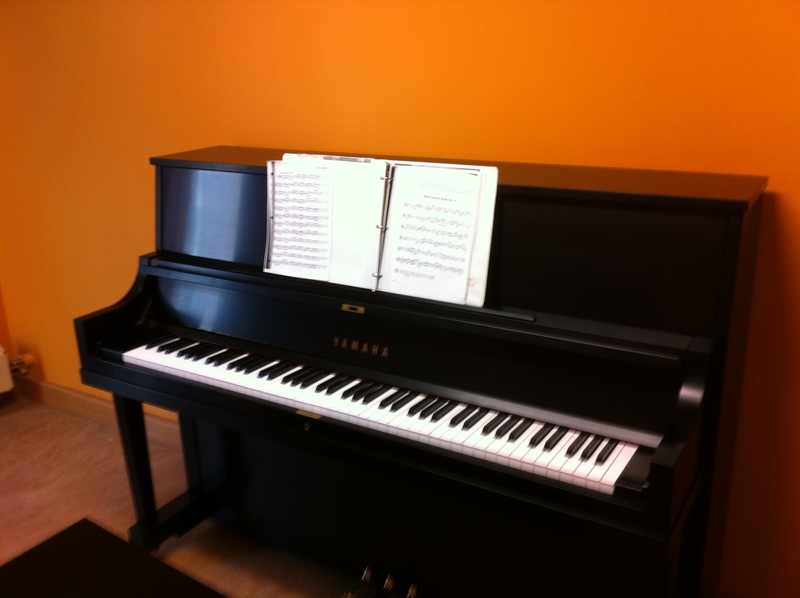 Here’s a look inside – nice piano! If the rooms at the Music Building are in use, two more practice rooms are available on the fourth floor of the renovated Fisher-Bennett Hall. And, if you’re really lucky, the Rose Recital Hall (also located on the fourth floor of Fisher-Bennett) will be available and you can practice your trumpet in a fabulous, large, and acoustically-pleasant room. If it’s unlocked, there is a wonderful Steinway grand piano in the Recital Hall. If that room is taken up by classes, there is always the option of the ten practice rooms in the basement of Irvine Auditorium. Still another option is signing out a practice room at Platt Performing Arts House. The rooms there are multipurpose. You might be practicing in a room that was just used for a dance lesson or an Indian music ensemble. Again, all of these practice spaces at Penn are relatively new. 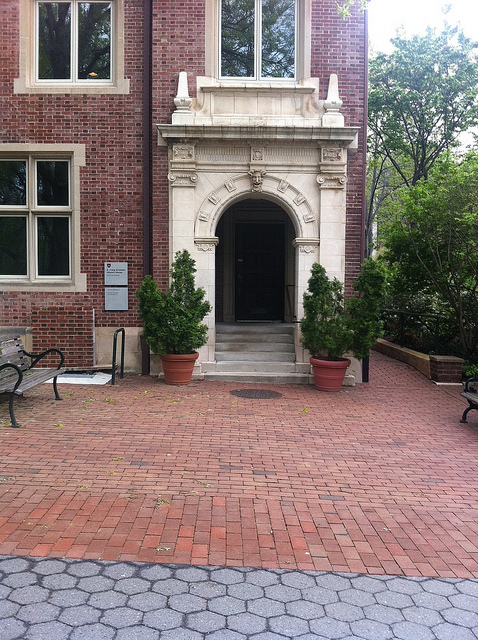 The University has certainly made a commitment to the arts at Penn. This is great for the whole Penn community. I lost. I ran for Vice President of the Undergraduate Assembly and lost. My team developed a platform, mobilized an army of supporters, and sent thousands of emails. 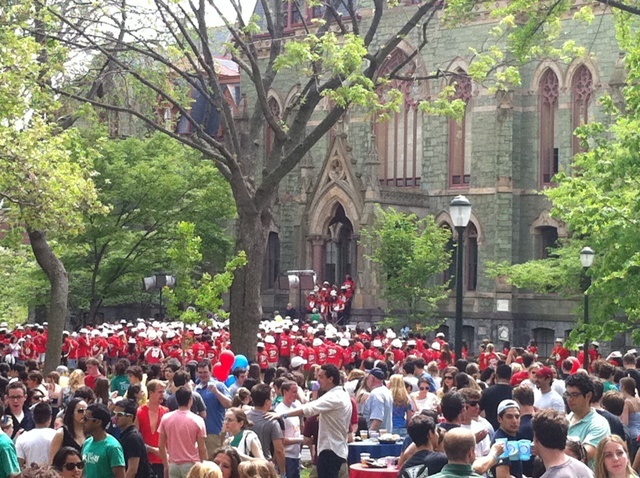 I spoke with hundreds of students and learned a ton about Penn. But still, I lost. I had poured my heart into the campaign. The following week was tough, and I began to question my involvement with student government. Fortunately, I cheered up enough to go out and support my favorite team (Penn!). While I shouted myself hoarse for our women’s lacrosse team, someone sat down next to me. 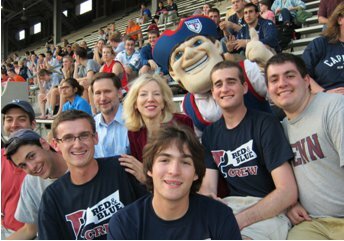 It was Penn President Amy Gutmann, cheering twice as loud as any of us. I soaked it all in: looking out I saw my team, fighting tooth and nail for the ball; looking left I saw my friends, covered head to toe in Red and Blue; looking right I saw my President, putting us to shame with her enthusiasm; and looking up I saw the clear sky, perfect weather for an amazing night. That’s when it hit me: Only at Penn can you lose and still be a winner. Not two weeks after the election, I was watching a lacrosse game with our extraordinary President, rooting for the Quakers and chatting about plans for next year. 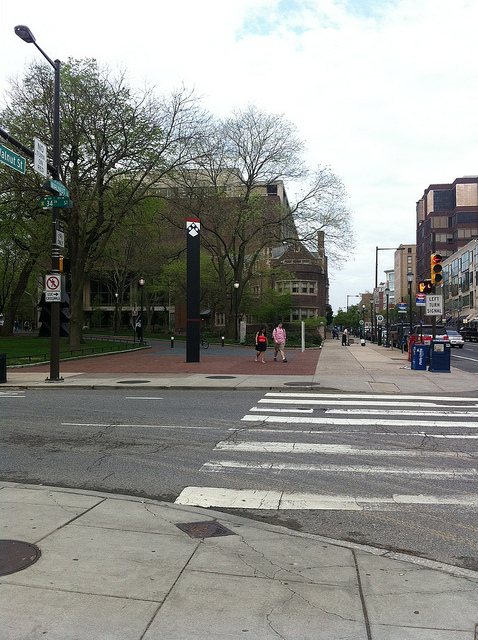 Penn is where I want to be, what I want to do, and why I want to do it. I cannot wait for the fall! It’s beautiful out, so I decided to walk to work. 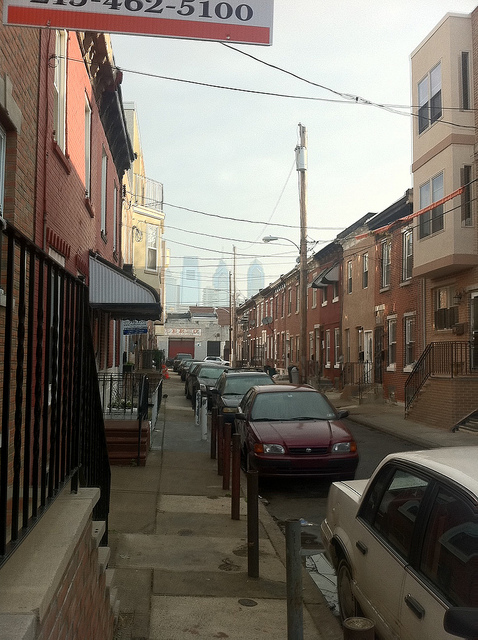 I live in the Grad Hospital area of Philadelphia, up against Washington avenue, just shy of being in South Philly proper. It takes me about 25 minutes to walk to Penn and since there is a lot to see on my way, I thought I would share it with you. This is the view from my front steps. You can see Liberty One and the Comcast Center in the background. Someday I am going to put a roofdeck on my house so I can see the skyline even better. It's really pretty at night. Here we have the beautiful Anderson Yards little league baseball field, home of the Monarchs! 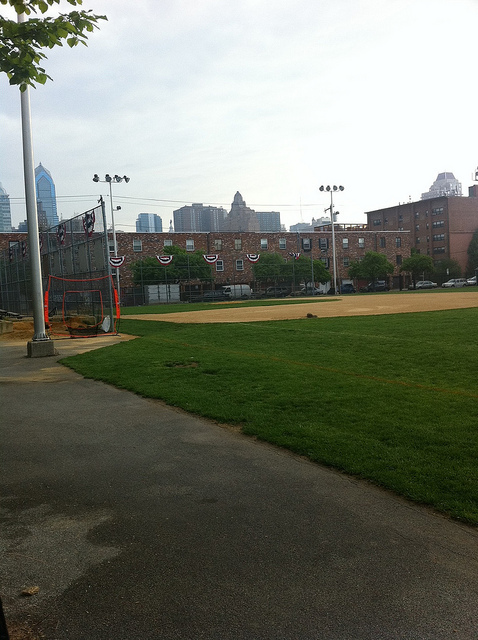 Someone recetly told me that it is considered the nicest little league field in all of Philadelphia, and it is mere steps from my house! On my way home I like to stop for a few minutes sometimes and take in a game. This is the corner of 18th and South Streets. 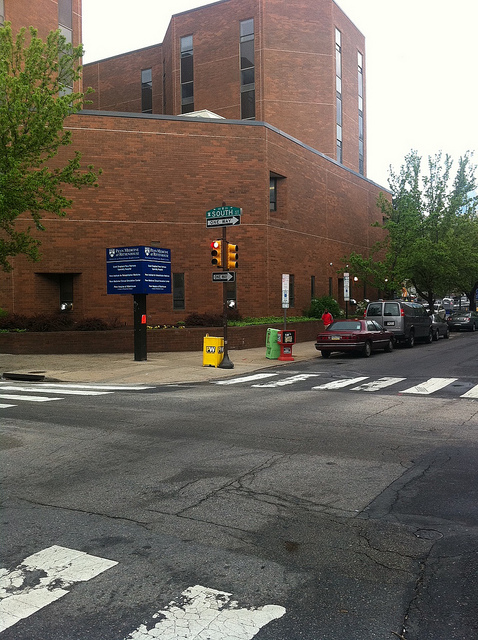 Penn Medicine at Rittenhouse is located here. This is the corner of 18th and Pine Streets, facing east. I took this picture to highlight the relatively new bike lane that was installed here. It stretches all the way from West Philadelphia to Front Street! 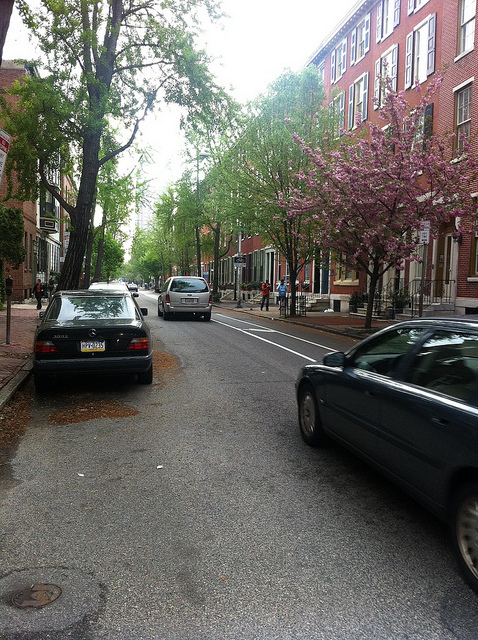 For a cyclist like me this was a welcome addition to Philadelphia's streets. 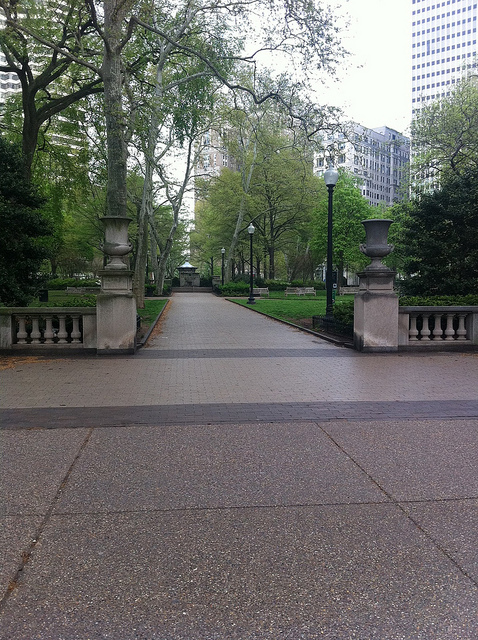 The Southeast entrance to Rittenhouse Square. I love walking through here in the mornings because it gives me a taste of nature that I don't really have around where I live. Rittenhouse Square is also one of the best mid-day people watching spots during the warmer months. This is a statue located in a fountain in Rittenhouse Square. Someone decided to decorate it festively for Easter. Personally I think it's an improvement, but I don't know much about art. This was taken while I was crossing the Walnut Street bridge. 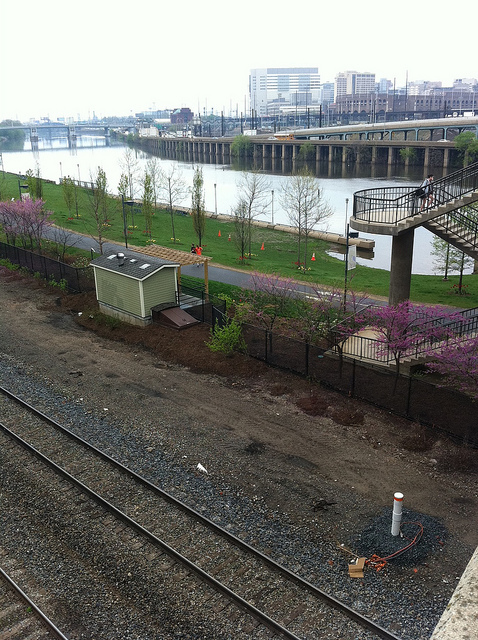 Below you can see the jogging path sandwiched between the train tracks and the Schuykill river. The small building is a public bathroom that the city installed last summer. They are working hard to making the riverside a nicer place, and it really shows! Again, this is from the Walnut Street bridge, but looking down on the contruction taking place on Penn Park, which is slated to open this summer. In the foreground you can see one of three footbridges that will take people down into the park. I'm very excited for a new green space so close by! 34th and Walnut Streets. Almost there!! Finally we have the Sweeten Alumni House, where all of us in Alumni Relations work. I made it in under 25 minutes! This was fun. I hope you all enjoyed traveling with me and I will see you next time! Tyson’s Bee food truck – Order #5, #6, and #7. Trust me. TBowl bubble tea – Better than Bubble House. City Tap House– Hooray for outdoor rooftop seating. Sweetgreen salads – Gia Pronto finally has competition. An oldie but goodie: Renovated Greek Lady. 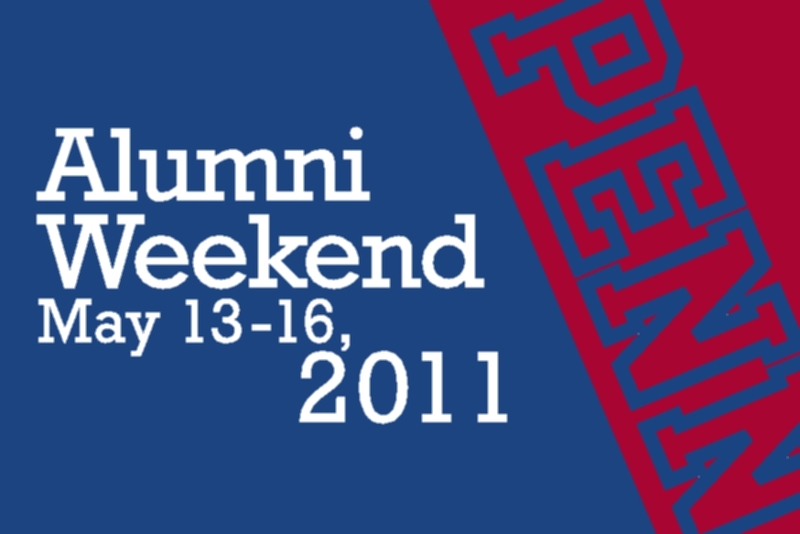 Come back to Penn for Alumni Weekend and let us know what your favorite eats are! Filed under Alumni Weekend, Campus Life, Food Fiends, Stephanie Y.